A bill that would give nurses with advanced degrees more autonomy is coming up for debate in the Michigan House. Senate Bill 2 would give advanced practice registered nurses, also known as APRNs, the authority to write prescriptions and order tests without a doctor's approval. The Affordable Care Act has led to more people seeking medical care. Also there is a physician shortage in rural parts of the state. This legislation aims to accommodate more of those additional people. APRNs are required to hold master’s degrees or doctorates in addition to a four-year nursing degree. Nancy George is with the Michigan Council of Nurse Practitioners. She said giving these nurses more authority will help more patients get care across the state. "So those cities that have a large Medicaid population are going to see the need for more primary care providers," said George. "So it’s a win-win all around." Dr. Kenneth Elmassian is immediate past president of the Michigan State Medical Society. He is worried that nurses will want to practice independently of doctors as a result of the law. "We think that we shouldn't be legislating medical degrees." He says without properly trained medical providers, treatment could become even slower for Michiganders. The bill passed in the Senate last November but has yet to make it through the House. 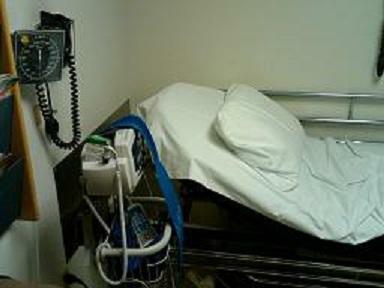 Democrats in the Michigan Legislature and a nurses’ union are calling for a state law that would require hospitals to maintain staff levels without resorting to mandatory overtime. Sixteen states currently have rules regarding staff-to-patient ratios. Right now, California is the only state with a law that sets minimum staffing levels in hospitals. State Representative Jon Switalski (D-Warren) is about to introduce legislation to set staffing requirements in emergency rooms and other hospital wards. “Nurse staffing can literally be a life-or-death issue and affects families from Detroit to the Upper Peninsula,” said Switalski. Scott Nesbit is a registered nurse from Muskegon. He says he and other nurses have experienced mistakes or a “very near miss” caused by short-staffing. “I don’t think people realize that when your nurse is handling far too many patients, or working a double-shift or been mandated to stay over, it’s probably because the hospital wants it that way,” said Nesbit. Similar legislation has failed in previous sessions of the Legislature. The Michigan Health & Hospitals Association opposes the idea. The group says a law that sets staffing requirements would rob administrators of the flexibility they need to meet different situations. The association says the bigger problem is a shortage of trained nurses. Michigan’s expanded Medicaid program is off to a fast start. Tens of thousands of people have signed up for the medical coverage in the first week since the enrollment opened. The Healthy Michigan program has received nearly 55,000 applications since April first; 32,000 Michiganders have already had their applications approved. Tens of thousands more have been moved into the expanded Medicaid program from a different state health assistance program.